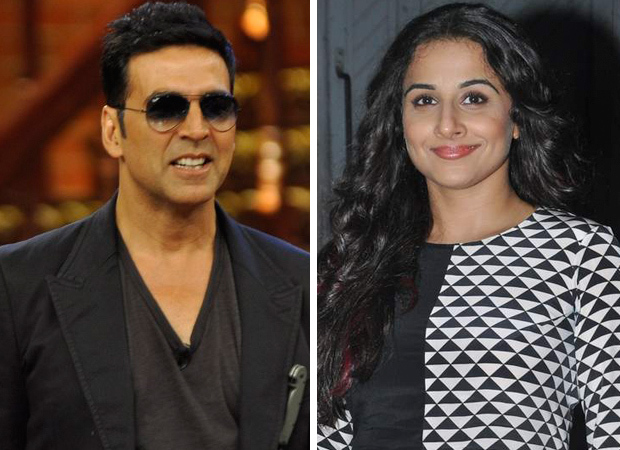 Akshay Kumar and Vidya Balan, who have come together for films like Hey Babyy and the unconventional Bhool Bhulaiyaa are expected to reunite after 11 years. This time too they will be seen portraying completely different avatars as they are expected to play scientists. They will be a part of the biggest space mission of India – the launch of Mangalyaan which has been orbiting around Mars aka MOM. Directed by R. Balki, this film is one of the director’s most ambitious projects. The filmmaker, known for exploring varied genres, will be dabbling with a space drama for the first time. Mangalyaan mission aka Mars Orbiter Mission was one of the most successful Indian space ventures and Vidya plays one of the scientists working on the project. However, she isn’t paired opposite Akshay Kumar in the film. If reports are to be believed, R. Balki is in search of three more leading ladies who will play the role of scientists along with Vidya in the film. Coming to the film which is yet to be titled, reports have it that the makers are keen on kicking off the shoot in January next year. And furthermore, it is being said that Vidya will be starting the prep from December onwards. Currently, the actress is shooting for NTR Biopic and it seems that she is expecting to wrap up before she kicks off the film. The Krish directorial that portrays the life of former Chief Minister of Andhra Pradesh N T Rama Rao is expected to release in January. On the other hand, Akshay Kumar is already busy with a couple of projects in the pipeline. While he has been dedicating his time to Housefull 4, he has also been taking time out for the Karan Johar production Kesari, a period war drama based on the Battle of Saragarhi.